Pool fencing panels and gates standard and custom made to you requirements. A " Form 15" will be supplied on request. Aust Made (Welded) - FLAT TOP - Pool fencing panel. Price shown is for Black Satin,16mm tube with 38x25mm top & bottom rail, 2475 x 1200mm high. Other colours, tube sizes, panel length & height optional. A "Form 15" will be supplied on request. 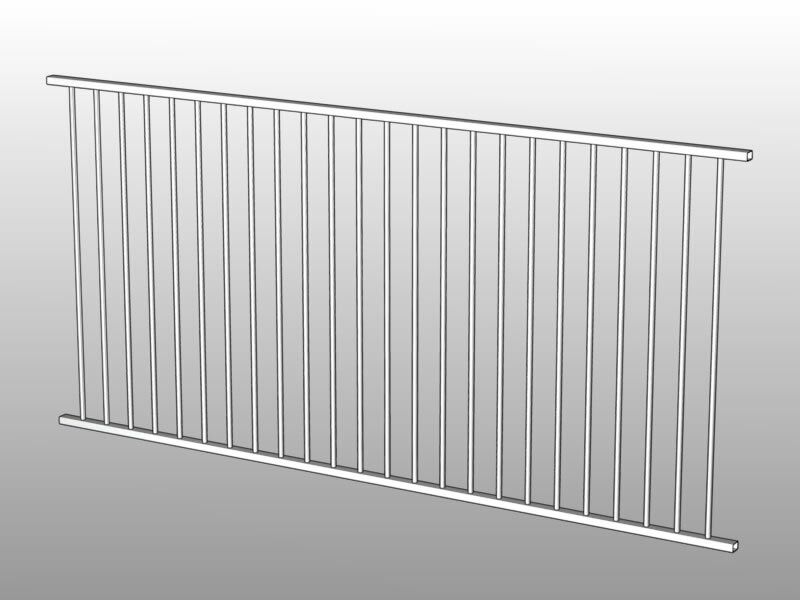 Aust Made (Welded) - DOUBLE RAIL "C" - Pool Fencing Panel. Base price shown is for Black Satin with 16mm tube and 38x25mm top & bottom rail, 2475 x 1200mm high. Other colours, tube size, panel length & height optional. 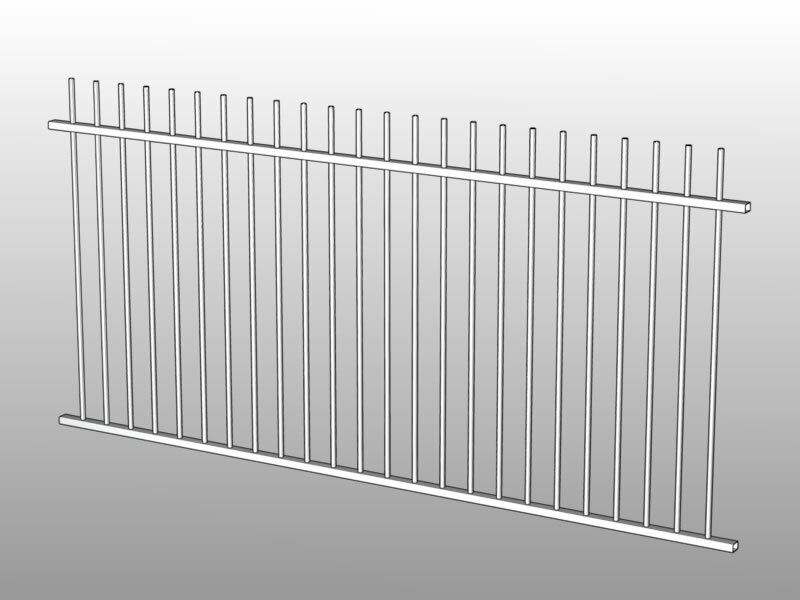 Aust Made (Welded) - PICKET TOP - Pool Fencing Panel Base price shown is for Black Satin with 16mm tube and 38x25mm top and bottom rail 2475 x 1200mm high. Other tube sizes, colours and panel length & height optional. We are able to manufacture to your requirements, pool fencing panels, garden panels and gates. All panels and gates are in aluminium and powder coated.